For just £30 a year, no increase in the past four years, Boston Borough Council will take your garden waste away every fortnight from this April to the end of November and then again from the end of February, 2020, to the end of March, 2020. If you signed up by direct debit last year and this is still active you do not need to do anything your payment will be taken and you will be notified by email. There has been no price increase this year. It is £30 for your first bin and £15 for any additional bins to be emptied. 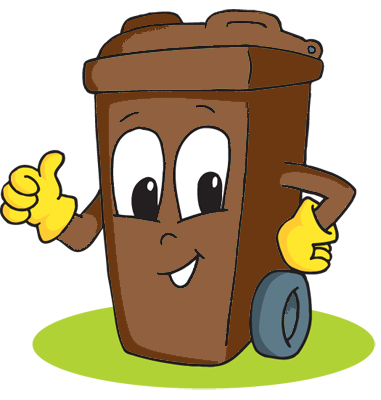 If you are new to the service and need a brown bin, there will be a charge of £25 for the purchase and delivery of your bin. If you do not wish to sign up online, payments via our main reception or over the telephone will not be open until Monday 11th February 2019. Garden waste must not be bagged, it should be placed loosely into your brown bin. We also do not accept garden waste as side waste alongside your bin. Top tip: To try prevent grass cuttings from getting stuck at the bottom of the bin you can place a small amount of newspaper in the bottom of your bin as a liner. What CAN be placed in your Brown Bin? What CANNOT be placed in your Brown Bin? Soil – this cannot be composted and will make the bin too heavy to be emptied.